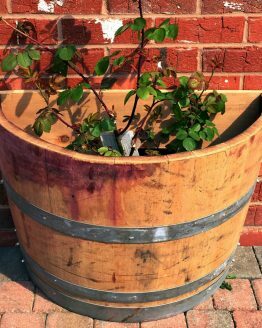 Celtic Timber’s oak whiskey/rum barrel planters are available in a variety of sizes and make a perfect addition to home gardening. 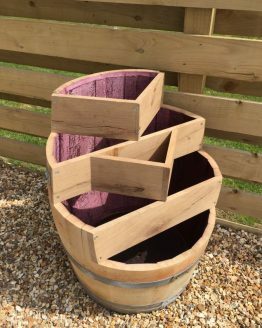 Our oak half whiskey barrel planters are made from genuine Scotch whiskey barrels and then cut in half to create the perfect planter for your plants, herbs or trees. 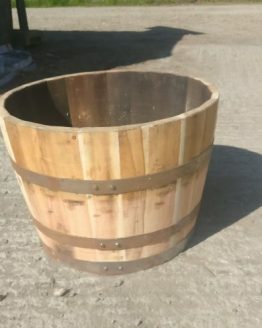 Our solid oak whiskey half-barrels are extremely high quality and come with steel bands. 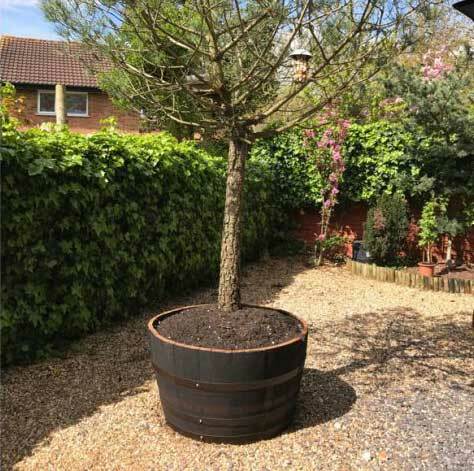 Please note – If you require a watertight oak planter please state this when ordering (for the small planters only). The oak thickness on this barrel measures 30mm, giving a great deal of protection from the elements. 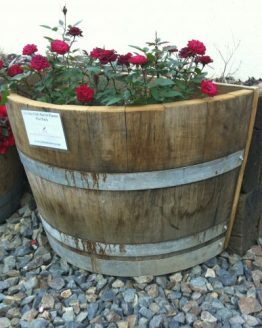 20 gallon planter notes – They are both effectively the same barrel in terms of appearance and size. 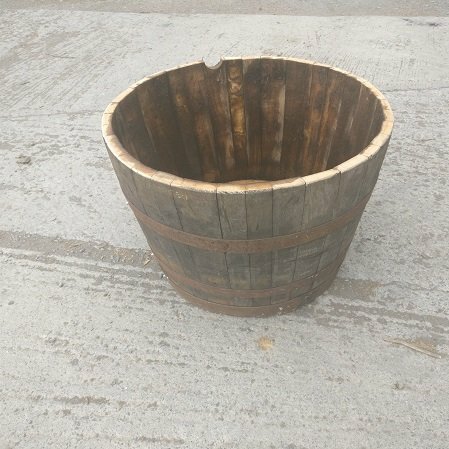 The rum barrel started off life as a whiskey barrel and subsequently was used again to store rum so the price reflects the fact that they’ve had an “extra use”. 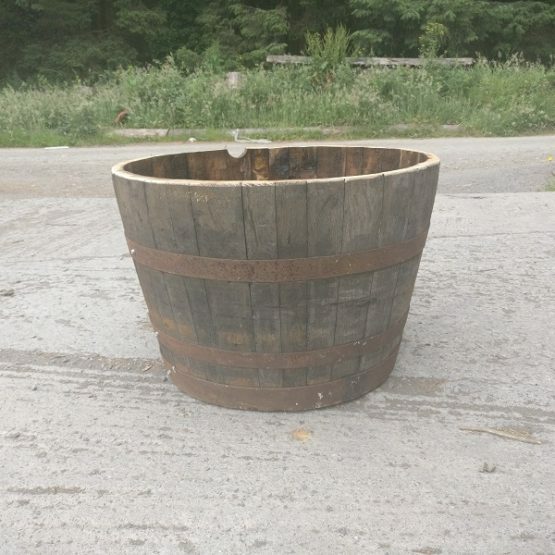 Also the rum planter may contain a hole at the bottom as standard as they have come in to us. Please note that the dimensions are approximate and do vary by up to 5cm between each batch of barrels we get in. 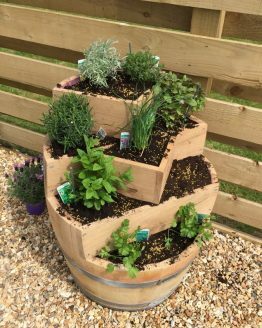 Excellent, thank you so much for your feedback and glad that you love your planter! Thank you for your review and glad that your bamboo plants are settling into their new home! This was my 2nd order from Celtic Timber and their barrels are fantastic. Great value, excellent quality and delivered really quickly. I will definitely be buying more! 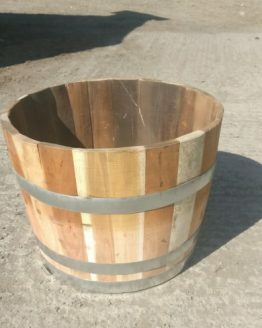 Very very sturdy half barrel planter. Looks great and I’m sure will last for many years. Excellent product & brilliant service. Received in 2 days, Wow ! Thank you, Gary. Glad that you love the planter! Thanks Paul, glad you think so! 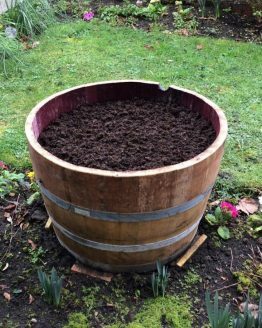 Really impressed with quality of the planter – delivery fast and price very good too! 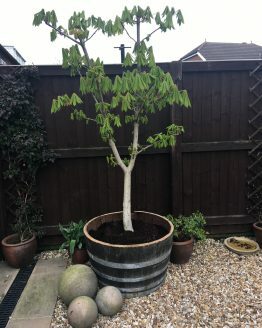 excellent barrels , i bought 2 for my large palms and they are just right. delivery was quick and efficient. Great addition to the garden, excellent quality, whiskey aromas!!!!! Perfect. Thanks for the review Andrew!